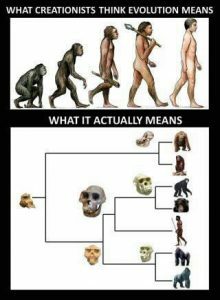 The big debate between creationists and evolutionists as to how everything came into being has always been going on since discourse has been carried on between humans. In this article I would like to begin to look at the creation vs evolution evidence that supposedly verifies one or the other. It shall not be a comprehensive study but rather a beginning outline or structure on which to build an ongoing comparison. We shall begin with evolution. Most people think that Charles Darwin came up with evolution. That is not the case. He made it popular when he published his On the Origin of Species in 1859. He actually plagiarized many of his thoughts from previous researchers and presented them as his own. He rushed to publish his work in 1859 because someone else was going to set forth the idea of “natural selection” as a means of evolution. Because he rushed the publication there had to be subsequent publications with many changes and additions. Evolution became the popular theme among the elitist humanists of that time. They began to propagandize Darwin’s theory and promote it as true science. The promo was that somehow the first living thing developed in a warm pool of water and over time it spawned more of itself and by “natural selection” became more and more complex. As knowledge of living things grew and the understanding of its’ complexity increased it became necessary to add years to the existence of the universe and this planet. At first they added thousands of years. Then as understanding grew they had to add millions of years. And with the increase of understanding of what life is it had to be increased by hundreds of millions of years and then billions of years. It was finally determined that the earth was 4.5 billion years old. This was done by comparing the ratio of U/238 to Pb/206. The 4.5 billion years the half-life of U/238. This fit well with the evolutionist view of the age of the earth and allowed what they thought was plenty of time for evolution. Another evidence set forth by evolutionists is that living things change. From one generation to the next there are noticeable and quantifiable change. In their reasoning this proves evolution. For over a century this seemed to carry a lot of weight in the evidential area. These are just a few of the “evidences” that evolutionists have set forth over the years. From time to time adjustments or addendum must be added to these “evidences” for them to still have standing in the scientific community. However, the evolutionists were able to become entrenched in the educational establishment when knowledge of the structure of life was very limited so that today it is more “consensus” which determines “evidence” than scientific empirical facts. 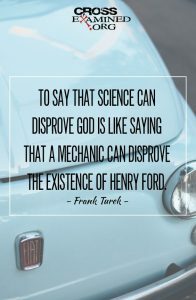 As much as evolutionists do not want to admit that creation can be a scientific subject, there are evidences that point to the fact of a creation. Of course, most creationists base their creation on the scenario set forth in the Holy Bible. They believe that there is a being who is all knowing, ever present and all powerful, who is separate from time and matter and creation. Evolutionists say that such beliefs are unscientific. But the creationists say to look at the evidence. Evolutionists declare that only natural causes and premises can be acknowledged in the study of science. Does a true scientist set limits on what truths can be considered when looking into scientific matters? Is science only materialistic? Is it truly scientific when you cannot consider all viable considerations in following the facts? What if scientists had determined that only factors that fit the Ptolemaic hypothesis of the solar system would be allowed to be considered in describing the layout of our solar system? Creationists look to the laws of physics and thermodynamics when they describe how the creation scenario fits into real science models. They point out that in creation science there is a beginning point for time and matter and energy. Creation models account for and allow for the first and second laws of thermodynamics. No “epicycles” have to be invented to allow for them. When a supernatural Creator is involved the law of cause and effect is functional. If there is no supernatural there is no cause and effect. Let us look at the two alternatives. Beginning with evolution let’s see what the assumptions are. It is assumed that the earth is 4.5 billion years old. 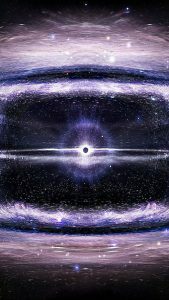 It is assumed that the universe is 13+ billion years old. It is assumed that life began in a warm pool of water some 3 billion years ago and somehow over millions of years increased information in its’ DNA little by little assumed mutations until it arrived at human being. It also assumes that the fossil record paints a picture of evolution. It assumes that radiometric dating is correct when all it really does is measure amounts of elements and their ratios. It assumes that all nuclear half-lives are static and unchanging. There are other assumptions as well. It assumes that the simplest living form, which has 356 proteins assembled itself by accident. (The chance of such a thing happening by chance is figured to be around 1 chance in ten followed by 4000 zeros. That is an assumption? That is an impossibility. There is one assumption made in creation science. “In the beginning, God created the heavens and the earth.” If Mr. Ockham’s razor is correct there seems to be only one logical answer to the debate of creation vs evolution evidence. Logic dictates that creation science follows the evidence. The evidence clearly points to a creative act and a Creator Who sustains the creation. Just because the evidence points to creation does not mean that all will accept that fact. As we have seen, the educational elite wish to deny creation because that would imply a creator. If there is a creator, that means we are His creation and therefore subject to His laws and rulership. The amazing thing about this Creator is that He made human beings in His image to the point that we can make our own choices. If we choose not to believe all the proofs He has given us and decide that we do not wish to be subject to Him, He freely allows us to make that choice. However, He has set natural and spiritual laws in motion which will be honored. If one chooses not to follow the evidence of the Creator there are logical outcomes for that choice. Just as the federal head(Adam) of all humankind rebelled against the Creator and hence, we all must die. 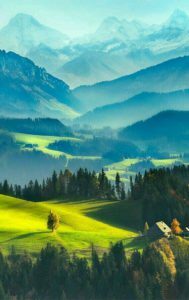 If one dies without choosing to honor his creator then he must spend eternity(there is no end to that, it goes on infinitely) apart from the Creator. There are only two places. The place where the Creator resides is called heaven. The place apart from the Creator is called hell. If one does not choose the Creator he will spend eternity in hell. I plead with you all, please accept the evidence of creation and embrace the Creator Who Himself bore all your sins to the cross and suffered so that you might spend eternity with Him in heaven. It is not His will that any should perish, but that all should come to repentance. He paid the price. The choice is up to you. Choose wisely. For a related article read our article HERE. For more evidence for creation click the following banner. What are your thoughts on Creation vs Evolution Evidence? I would love to hear them. Share in the comment section below. Thank you. I have always been at the evolution side. But your article is very well written and it open my eyes why creation sides must be taken seriously too. They way you address the creation part is very objective and convincing. However, I think “If one does not choose the Creator he will spend eternity in hell.”, this part is a little bit too subjective. With respect, I just wonder why would you give someone the ability to think and make own judgement, but at the same time you condemn them when they are not following your path or wishes? I think that a wise and all mighty creator (if there is one) would not really care if the tiny human being will actually believe in him or not. Just like we do not care if an ant know us or acknowledge us or not. What is the point of making an ant to worship us? No offense tho, but so far, no one has been able to give me an answer on this. Perhaps you have a better insight on this? In the Biblical worldview, God is supernatural, that is above or outside of and greater than the natural. The humanist worldview says that everything came from nothing and that is how we got here. If the Creator is Supernatural then He can create everything that you see. Logic falls on the side of the loving Creator. And by the way, He does not condemn anyone. In fact He provided a way back to a relationship with Him through His Son, Jesus, Who was God incarnate, God in the flesh. He paid the price for our failings and by believing Him you are considered as in right standing with your Creator. Leave me an email address and I shall be glad to share more logic and reason why a Biblical worldview is more logical than a humanist or evolutionary world view is. Thank you for your interest and I shall be glad to review your site. In my opinion evolution is base on theory and a lot of things that is way out there and in some cases, you can see the big gaps because of all the mistakes that are made. The Bible, on the other hand, proves from nature itself that there is a God who created us and the world. 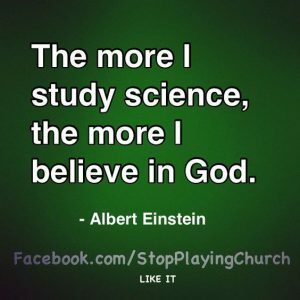 So when it comes to science vs the bible the bible always wins and many scientists are now also believing in the existence of God. Base on scientific facts isn’t that just amazing. Thanks for the comment. If you would like to keep abreast of the proofs of creation and the falsifications of evolution then go to http://www.crev.info. Yes, everyday true science is disproving evolution and confirming the Bible. Great name for a site you have. I shall have to check it out. God bless you brother and prosper you in your work.